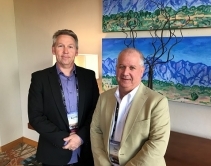 By Jason Knott · April 19, 2019 • Despite 23% growth rate in 2018, HTSA buying group to focus on sales relationship training for 2019, along with lighting, energy and wellness. 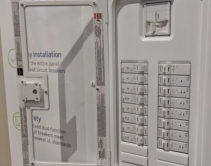 By Julie Jacobson · March 25, 2019 • Leviton's new IoT Load Center is a circuit box with snap-in breakers (no rewiring necessary) and Wi-Fi connectivity for remote monitoring, diagnostics and control via Leviton smart-home app. 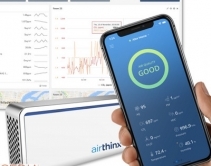 By Julie Jacobson · August 8, 2018 • Measuring nine environmental conditions, IoT-enabled Airthinx integrates with home automation to optimize indoor air quality (IAQ) for wellness, productivity and energy savings. 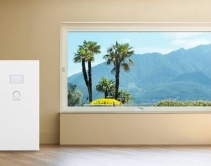 By CE Pro Editors · August 17, 2017 • Whisker Labs’ sensing and software analytics platform taps the electrical network to connect all appliances in a home, delivering real-time power usage data to consumers. By Amena Ali · June 23, 2017 • Unlocking the full potential of the smart home will come down to providing consumers with meaningful home intelligence insights like energy management data. By Jason Knott · April 14, 2017 • Whisker Labs's low-voltage sensor identifies electrical signatures, enabling integrators to earn RMR from energy management of every device in a smart home. By CE Pro Editors · August 24, 2016 • The Energy Management HUB has been reengineered with an updated configuration to include more kilowatt hours and an Extra Battery Pack (EBP), a supplemental battery for HUB owners looking for additional power. By CE Pro Editors · October 14, 2011 • For $9.99 a month, the company's home automation product allows users to monitor their home from virtually anywhere with Internet access. By Julie Jacobson · August 30, 2011 • When the power goes out and the generator kicks in, you need to monitor and manage your electrical loads very closely, homeowner says. By Julie Jacobson · January 11, 2011 • Aeon demos Micro Smart Energy Switch that Z-Wave-enables legacy light switches for control and energy feedback. By Julie Jacobson · September 22, 2010 • Between its new Suite-32 multiroom A/V system and Tinnov-endowed TEQ, ADA offers a wealth of personalization options for whole-house audio; special treat: energy dashboard from Module Depot. By CE Pro Editors · June 16, 2010 • Extron Electronics is the first U.S. manufacturer to receive EEC - Energy Efficiency Certification from UL Environment, Inc. As an acknowledged global leader in environmental qualification and certification, UL Environment acts as an independent third party to test and. . .
By Jason Knott · April 21, 2010 • The Home Comfort Zones EMME integrates with an HVAC system and uses smart algorithms to gauge whole-house energy usage, turning a “$12,000+ solution into a sub $2,000 solution,” says exec.